Storytelling is everywhere. And last week I learned an important lesson about storytelling during an NBA game. I was at a basketball game last week. Nosebleed seats, but it was still so much fun. The halftime entertainment is always interesting, so while many people tend to leave the arena for snacks during halftime, I stuck around. The halftime entertainment was a hip-hop dance group. The music was great, and the dancers were very talented. However, their choreography left much to be desired. Now, here’s the thing – I’m not a dancer. I can barely manage the sprinkler or the shopping cart, so I’m not in any position to critique the ability of these incredible dancers. However, I AM a storyteller. And I understand the importance of storytelling in dance. As I watched these talented dancers I noticed that their halftime entertainment went nowhere. It didn’t take the audience on any journey. While the music moved and increased in intensity, the dance didn’t match it. It was almost as if a series of various movements were randomly pulled out of a hat. Here’s the thing – all the pieces of a great story were there. There was a series of movements where there was conflict. There was resolution. There was introduction of the movements. There were moments of building intensity. But it was so discombobulated and jumbled that the dance took us nowhere and left us feeling empty at the end. I was disappointed. It was a dance that had so much potential. Yet it fell short because it missed a critical element of storytelling. 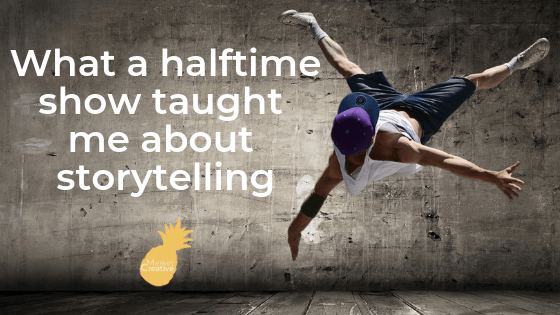 So why does storytelling even matter? Who cares if a dance moves you? Who cares if a story is told in a logical order? Stories matter. They help define our world. Ok, so I need to tell a story. Do you have any tips for well-executed stories? Share an authentic story. Don’t try and fool your customers – they’ll see right through it and you’ll use valuable trust. Be clear. If you’ve followed our blog at all, you’ll know we talk about the importance of clear messaging. Storytelling is no different. Confused customers go somewhere else. Tell a clear story to capture the attention of your potential clients. Be consistent. Your story should be part of your brand plan. 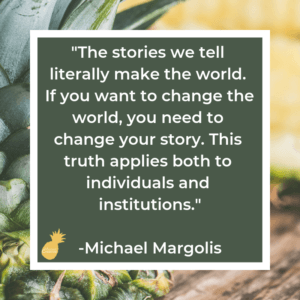 What story are you telling your customers? 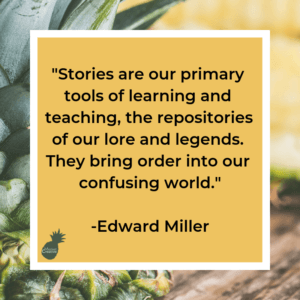 What story are they telling you? Need help with your story? Let’s chat! We’ll chat about getting your digital marketing in shape, including understanding the story you’re telling.